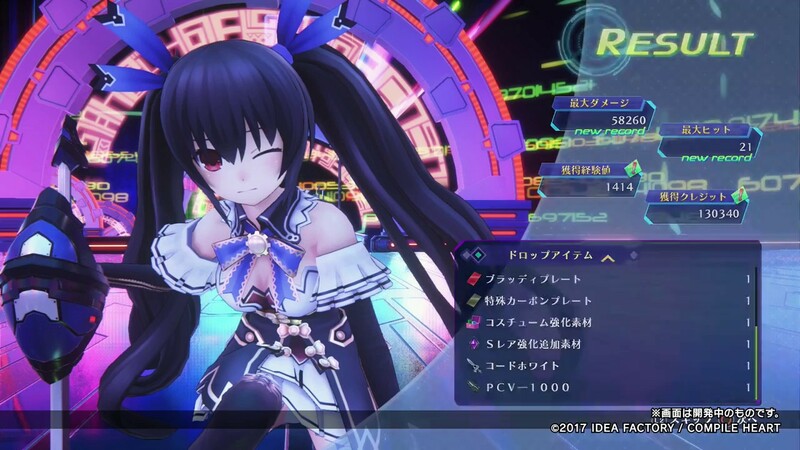 In the norm of having “remakes” of game releases coming out, usually a compiled version, with all the DLCs and some additional cutscenes and other arguably minor stuff, I had expected that Megadimension Neptunia VIIR (which will be shortened to NepVR from this point onward), would follow what I see is an unfortunate trend of rehashing another game. With the VR portion of the game an attempt to distinguish itself from the others. I had already pegged the VR cutscenes as fanservice. An experience to see your favorite Neptunia waifu in a VR environment, nothing more. So it was a pleasant surprise that my expectations were somewhat broken, and pleasantly so. This review is based on a review code provided by Idea Factory International. 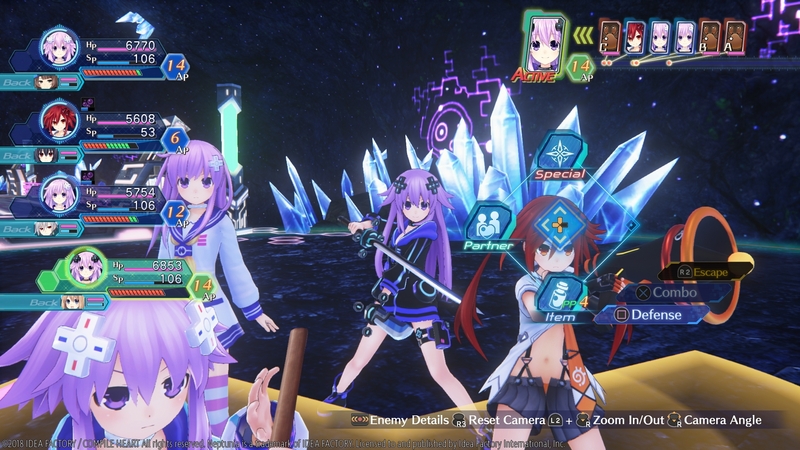 Idea Factory’s Neptunia series had always been one to break the fourth wall in a consistent basis, and that’s one of the things we like about it. Adapting Neptunia VII with VR just gave them a literal fodder to make jokes that literally go beyond the fourth wall. The jumping through dimensions plot point that they’ve raised in the previous games made it possible for them to write the VR portions of the game into the story. I have to applaud the writers for making it cohesive to the story in some form. Because it shows that they put some thought into this “remake”, so a lot of things actually feel fresh. The VR cutscenes are also playable normally, so you aren’t missing the “waifu in your room” even if you do not have a PSVR, although owning one will definitely enhance the experience. While the VR is arguably the main star of this game, NepVR does not skimp out on the actual game by giving the UI and the mechanics an overhaul. While the UI improvements were somewhat of a given for a remake, I did not expect that the very mechanic would be scrapped and be given a new one. Unlike the previous games where you are given a pseudo hack and slash feel by assigning combos to 3 different buttons, NepVR adopts a more “standard” RPG approach. With you presetting combos on your turn, and letting the game do it automatically. While it is certainly convenient in some ways, as you no longer need to do as much button pressing and it allows you to also add Defense skills in the end, it does have its own share of frustrations. For example, in the old system, you can adjust your combo on the fly depending if the monster is blocking or vulnerable. In the new system, you have to recreate your combo set if you want to take advantage of a certain combat situation. While this is only mostly applicable for boss fights, it somewhat takes away the convenience that you get when fighting normal mobs. In addition, Action Points (AP) are now implemented in this new mechanic. Similar to other JRPGs who use the AP approach, you spend AP to do, well, actions. However, in NepVR, it affects your combination and formation skills as it demands AP from your teammates. Unlike before where you just need to be in formation and have the appropriate SP. While NepVR was essentially just a rehash of Megadimension NepVII, it has set a standard of how rehashes should feel. By discarding the old battle mechanic and replacing it with a new one, it provides a new gameplay experience since there’s a whole new system to explore and master. Making the main selling point of the game into a relevant plot point makes it an engaging play narrative-wise. Though the new battle mechanic may raise a few eyebrows or negative feedback, in the end, it all drops down to a matter of preference. As some people would actually find this new approach better.